Thrace Group will participate at the International Congress and Exhibition for sustainable civil infrastructures, that will be held at the conference hall of Mena House Hotel. 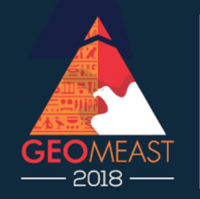 Due to the rapid development of construction in Egypt and in the Middle East, GeoMEast 2018 exhibition will present an excellent opportunity to highlight all recent developments and advancements in design, construction, and safety Inspections. The GeoMEast congress will also open a discussion around the future of sustainability and structural integrity of civil infrastructures in the area. Thrace Group will be participating at the GeoMEast (Stand 1), to showcase its full range of geosynthetic products for advanced engineering applications.